TURIN, Italy -- The key to Fiat CEO Sergio Marchionne's vision of combining Fiat and GM Europe's operations is sharing platforms between and benefiting from better economies of scale. Marchionne believes he could save 1 billion euros ($1.34 billion) a year from merging Fiat with GM's Opel, Vauxhall and Saab brands. Some 750,000 units were built on the Punto/Corsa platform last year, according to J.D. Power Automotive Forecasting. This figure could rise to about 1 million units in the next three years when the new versions of the Corsa and Grande Punto are launched, along with Alfa Romeo, Lancia and Chrysler versions in the United States. Last year, the carmaker built only 160,000 units of its three models in the segment: the Fiat Bravo, Lancia Delta and Alfa Romeo 147. And Opel/Vauxhall built almost 650,000 units of the Astra family and Zafira medium minivan in Europe. Production of lower-medium cars with a shared Fiat-Opel platform would reach 1 million annually with the addition of lower-medium models built by Chrysler in the United States. Most likely, Fiat will switch its volume models to the platform that Opel has developed for the next-generation Astra, which will be launched at the Frankfurt auto show in September. In addition, Fiat and Opel could for production of 1 million units in the minicar segment, but this will take longer. "We believe that combining Fiat, Chrysler and GM Europe would forge a global small-car champion able to benefit from low-cost manufacturing and a global reach," said Stefan Burgstaller of Goldman Sachs in a note to investors. 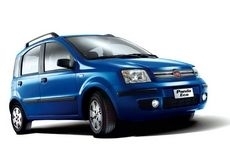 Said Vecchio: "In 2004 Fiat had company-specific issues being the only car maker losing money in Europe. Now the situation is bleak for the whole sector."